Update on Fangirl February is going good so far. 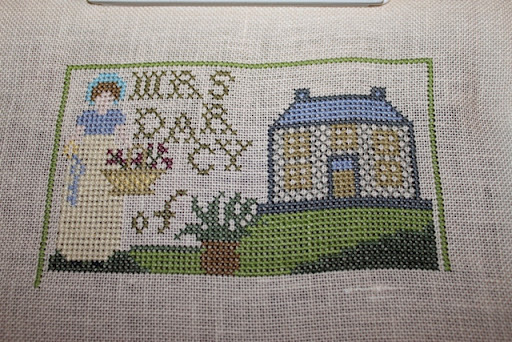 As you remember I was doing some Jane Austen pieces, mainly Pride and Prejudice and my pieces in this were my Mrs Darcy Sampler and the Mr Darcy Piece. 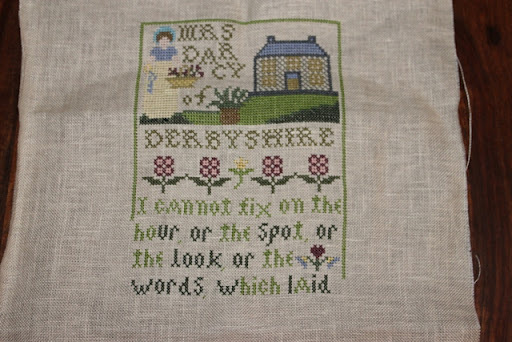 Here is how my Mrs Darcy Sampler looked at the beginning of February. Here is my progress half way through the month. I’m really pleased with how far this one has come and am hoping I get this one finished by the end of the month. I ordered a frame for it last week and its been made and came so is ready for me to frame once complete. My Mr Darcy letter I ordered the materials for. I changed the threads to some silks and I’m hoping that order arrives this week as I know its been dispatched and so will start that then. So far Fangirl February is going well and I’m hoping for the rest of the month to go as good. How’s your Fangirl February been. 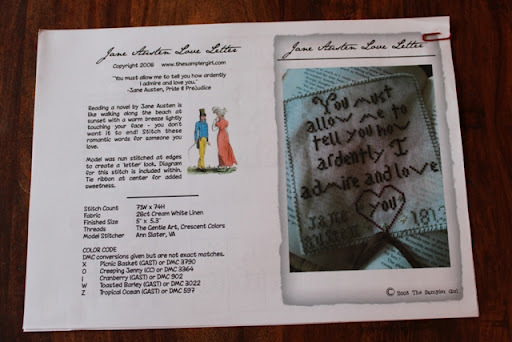 This entry was posted in Uncategorized and tagged Mr Darcy Letter, Mrs Darcy Sampler.. Bookmark the permalink. You are doing a marvellous job, Ruth and have made great progress. I realy love the colors of the Mrs Darcy sampler. You made a lot of progress!